We are located on the back side of the five story atrium building. 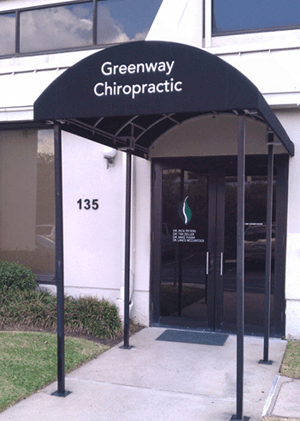 Look for the Greenway Chiropractic black vinyl covering. You will be able to walk directly into our office from the parking lot.